Glen received his degree in Physical Therapy from New York University in 1992, and then entered into Touro College’s Advanced Masters in Orthopedic Physical Therapy program which he graduated from in 1997. He later went back and completed his Doctorate in Physical Therapy in 2007. Glen has been a Board Certified Clinical Specialist in Orthopedic Physical Therapy since 2000. In 2001 Glen opened a practice with two offices which he owned and operated for 15 years. He has had teaching positions at Touro College, NYU, NYIT, and Kingborough College. He has been a mentor for students in NYU and Touro College’s PT Orthopedic Residency Programs. Glen became a Certified Hip Specialist through Hospital for Special Surgery in 2010. 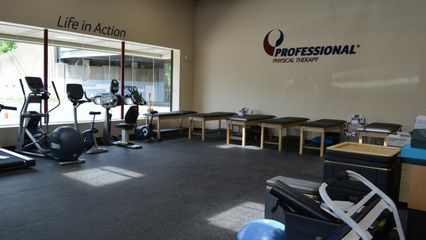 Prior to and during private practice, Glen worked in administrative and clinical positions in numerous physical therapy settings, ranging from acute-care and in-patient rehab to sports performance and coaching. Polly has over 15 years of diverse clinical experiences in acute care, sub-acute rehabilitation and out-patient clinics. She received her bachelors degree in physical therapy from the Philippines in 1991. She strongly believes in continuing professional education. She then graduated her doctorate in physical therapy from Utica College in 2014. Polly joined Professional Physical Therapy to focus in orthopedic rehabilitation.